My friend and fellow blogger and all around great human being, Brian Farrell of Pop! Pop! 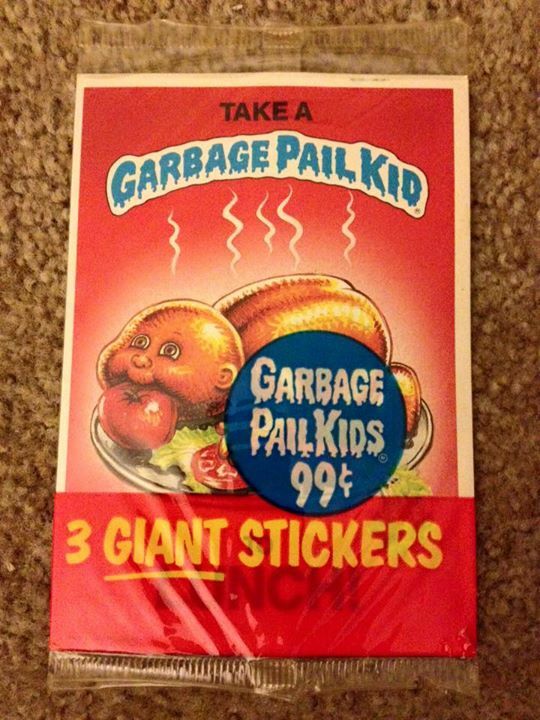 It's Trash Culture! sent me a package of surprising randomness back in April as a kind gesture. 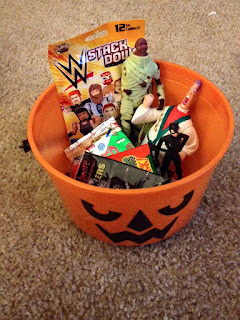 Filled with cards, books, toys, magazines and comics. It was a very kind gesture that I still appreciate very much and didn't take for granted. So what happens when he decides to message me and tell me he had another package prepared for me? Oh yes. 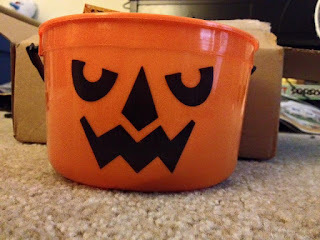 Halloween AND Christmas had arrived early. A beautiful bounty filled with happiness and joy. Let's take a gander, shall we? Ahhh...Otho The Obnoxious from Beetlejuice, a Catwoman PVC figure, and the Mummy From Real Ghostbusters. 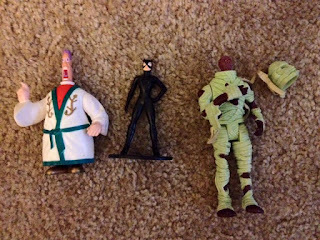 A nice variety of toys that I can keep around just in case I get the flu again and need someone to talk to while I'm delirious. And there's no three things I'd rather talk to while low on energy and hocking up mucus. Ooooooh....a button and a sticker! Two of my favorite things ever. 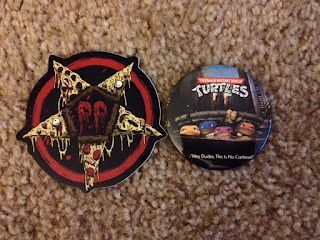 A button featuring the poster from the first TMNT movie(which happens to be one of my all time favorite movie posters) and a sticker from amazing art company Pizza Party Printing, who do some of the most amazing pop culture art you'll ever feast your eyes on. Indeed, every print they do is like a pizza party for your eyes! Ok, this came out a little blurry, but it's obvious what these are. 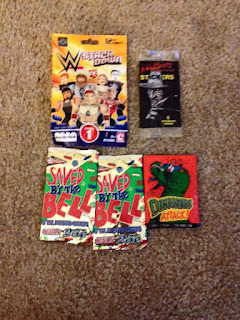 A WWE StackDown mystery mini figure, a pack of Elm Street stickers, Dinosaurs Attack sticker pack and TWO. 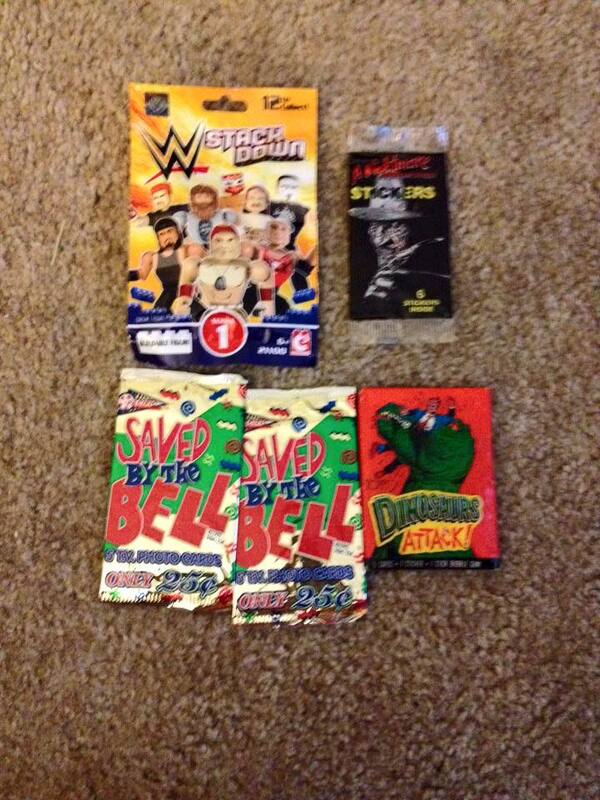 YES TWO SAVED BY THE BELL CARD PACKS. 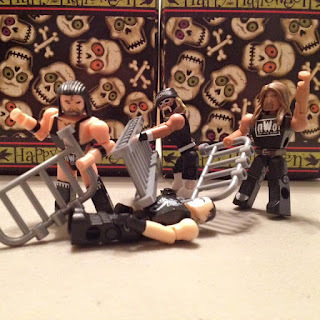 Come on, guys...It's been 19 years since Starrcade...Get over it. Much like before, Brian sent me a magazine and a minibook. 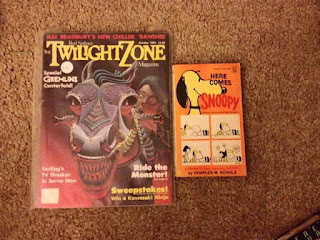 A digest sized Snoopy collection and an old Twilight Zone magazine featuring some fun scifi stories and info on the old tv show. Definitely some nice lunch time reading for out on the balcony of my apartment. 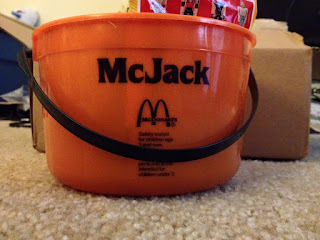 Brian knew how to cap this off, so he had to include an old McDonald McBoo pail! I got a McJack, which is perhaps the most disgruntled and maniacal of any McBoo pail. 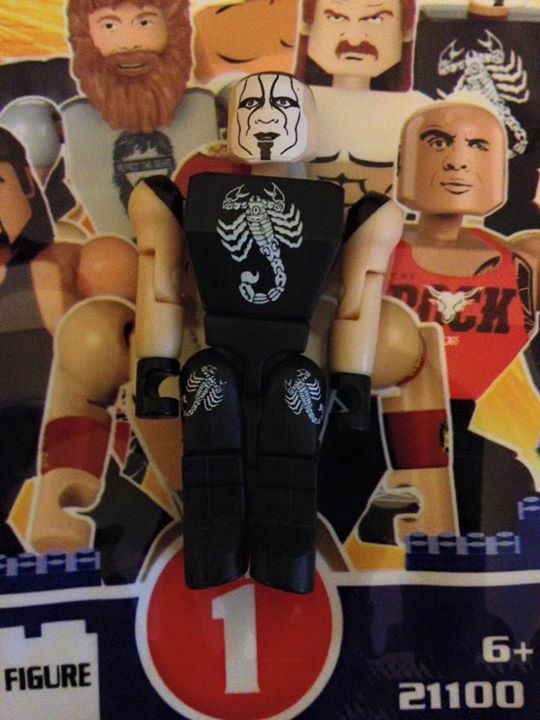 I mean, he just looks super angry and ready to pounce a mutha for stealing his fries and McNuggets. Beware, folks. 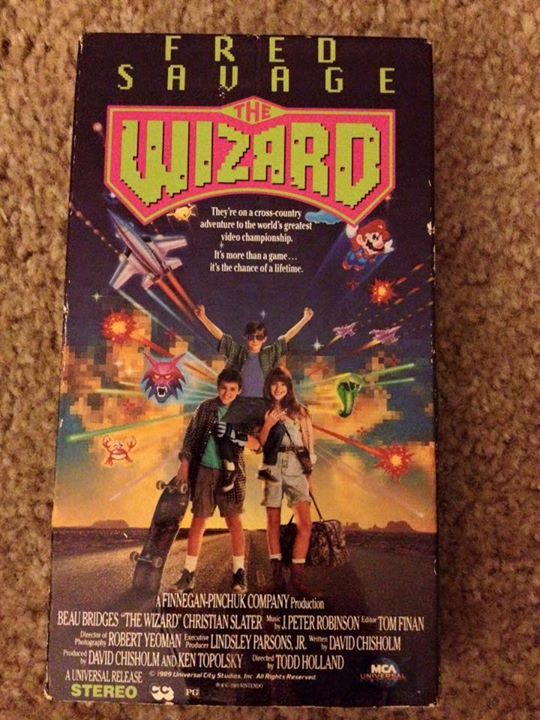 Rounding out the package was a copy of the Wizard. My copy of the Wizard never had a copy but a former rental case. I've always wanted to own a copy with the cover and huzzah! Brian made that come true. This was very generous of him as it is a rather perfect copy. The DVD copy is nice and crystal clear, but watching this on vhs on a sick day at home? Even better! Much thanks to Brian for his very, very gracious care package. I can't say enough about how much I appreciate this and his kindness. Please visit his blog at Pop! Pop! 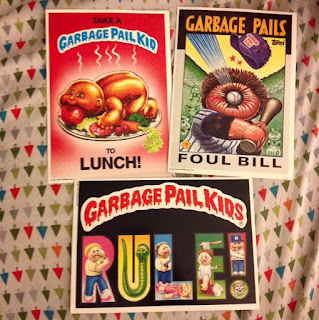 It's Trash Culture! for all sorts of fun stuff about pop culture! 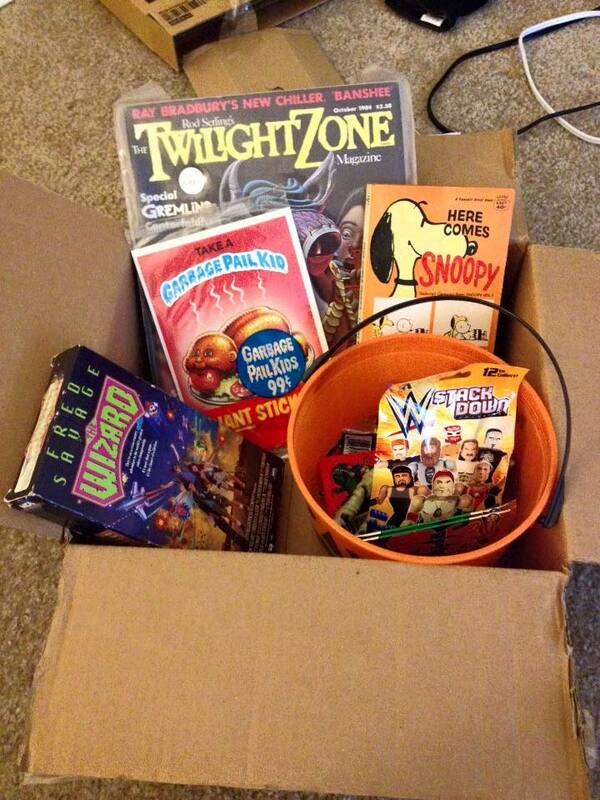 SbtB, Halloween, AND TMNT?! Best package EVER. 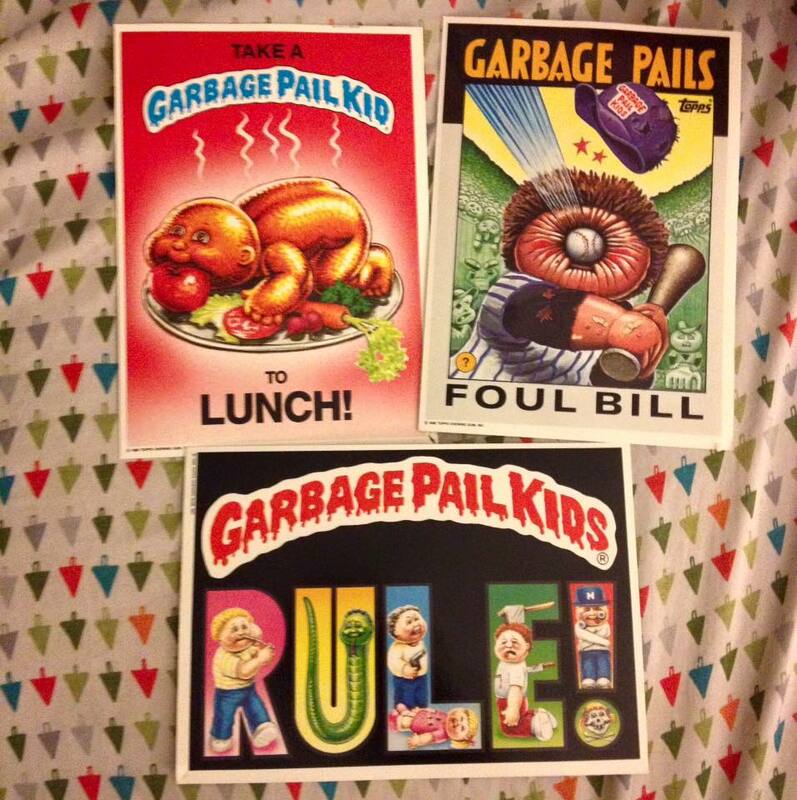 And I do agree with you, that TMNT poster art is greatness. Love that design.